- Dark Only! 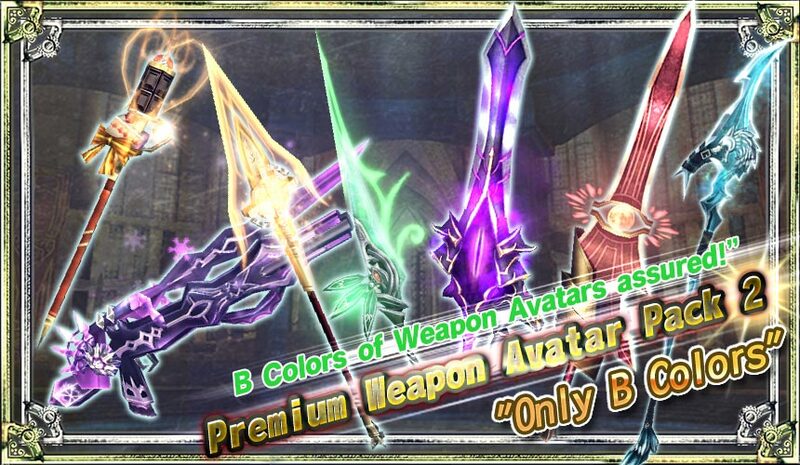 Equipment of 11 stars Lv100 limit in the winning line-up of "Authentic-Astra Arms Festival" are available by element for 1 day only! - [20%OFF]Set of pair Wings won, limited to the B Color! "Soaring Pair Wings B Color" on sale! 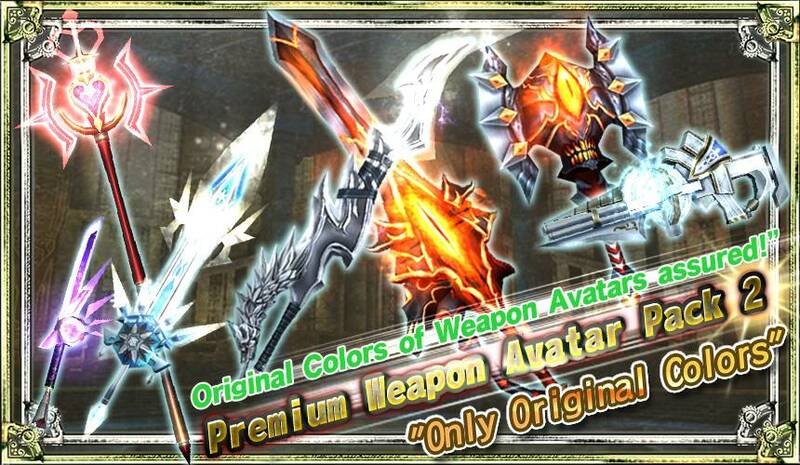 - [50%OFF] "Original Colors""A Colors""B Colors""C Colors"Weapon Avatar 2 now available!Dark Only! Equipment of 11 stars Lv100 limit in the winning line-up of "Authentic-Astra Arms Festival" are available by element for 1 day only! 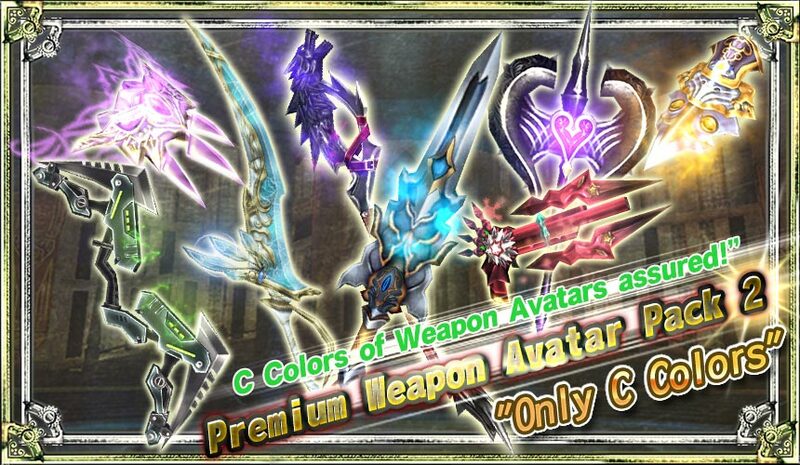 Introducing the 1 day limited pack that gathers all the "Dark" only Astra Arms together! With a lineup of 11 stars Lv100 limit equipment, this is a pack that makes it easy to aim for Astra arms with specific elements. [20%OFF]Set of pair Wings won, limited to the B Color! "Soaring Pair Wings B Color" on sale!Wings are yours! Win same type of left and right wings limited to B Color in "Soaring Pair Wings B Color"! The regular price is 15 Gems for Spin x1, but this time it's available with 12 Gems for Spin x1! If you want to get Wing Accessories quick, this is the chance! 12 Gems per "Spin x1"
* Please note that the Avatar preview function is not available in this Pack. ​* Colors will be only Original colors. 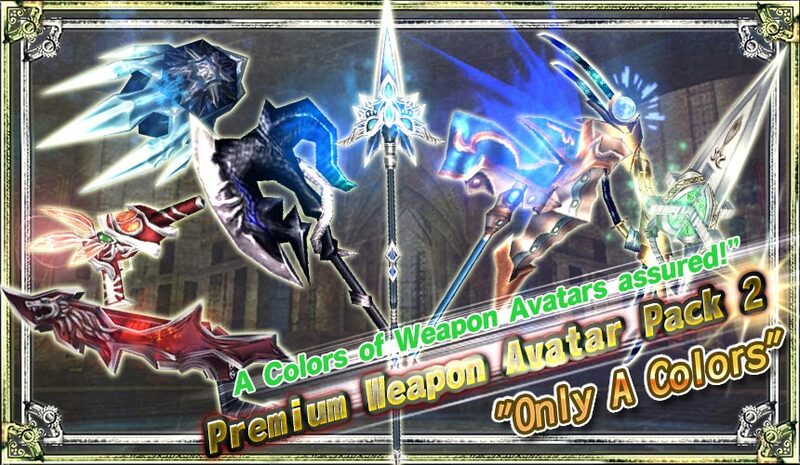 * Please note in advance that Avatar preview is not available for this Pack. * Colors will be only A colors. * Colors will be only B colors. * Colors will be only C colors.